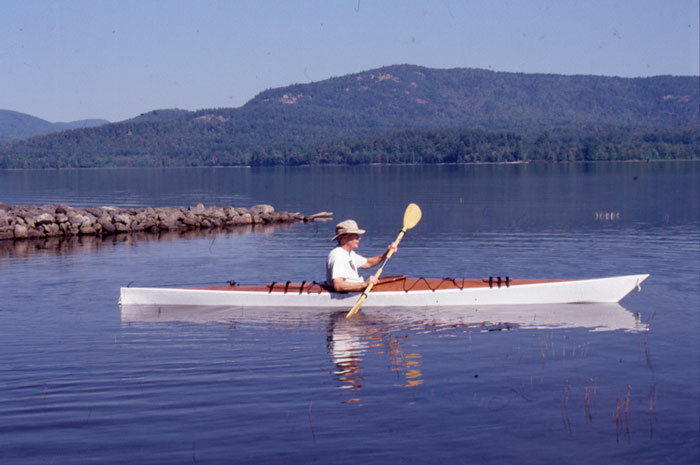 Raymond Wright used stitch-and-glue construction with African mahogany plywood in building this CLC 17 kayak. 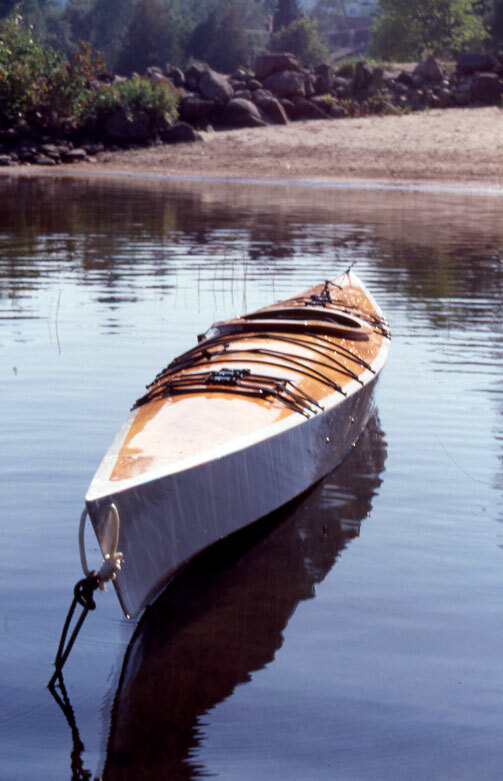 He also included a retractable skeg, and designed the spruce paddle. 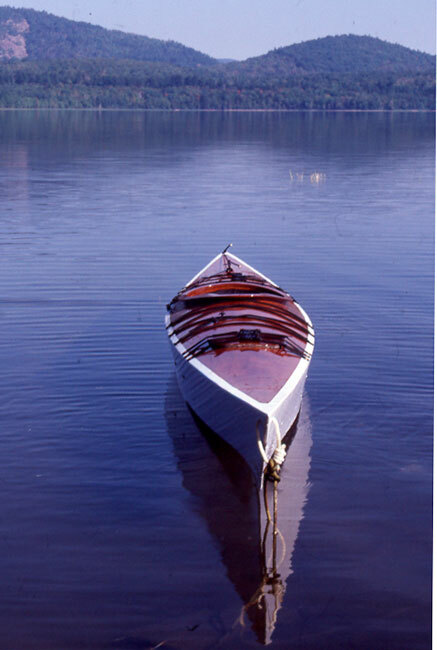 He launched the kayak on Schroon Lake on Aug 30, 2002. Write Ray at P.O. Box 62, Adirondack, NY 12808.